This is the perfect decoration for my Naughty Nutella cupcake. It’s super easy to make and will impress big kids and little ones alike. 1. 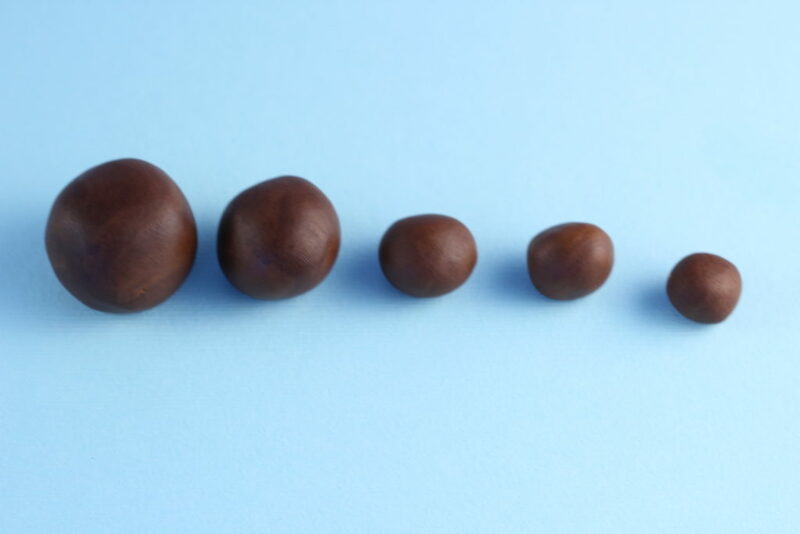 Divide brown fondant into five separate balls in ascending order size wise. Insert a toothpick into the largest ball and attach the next size ball to create the head. 2. Roll the 3rd and 4th balls into oblong shapes and cut each one in half to form the legs and arms for the bear. Attach the limbs using the paint brush and a small amount of water. 3. To make the ears, cut the tiniest ball in half and press down using the ball fondant tool. Fill the ears with the light brown fondant. Attach the ears to the head using the paint brush and water. 4. 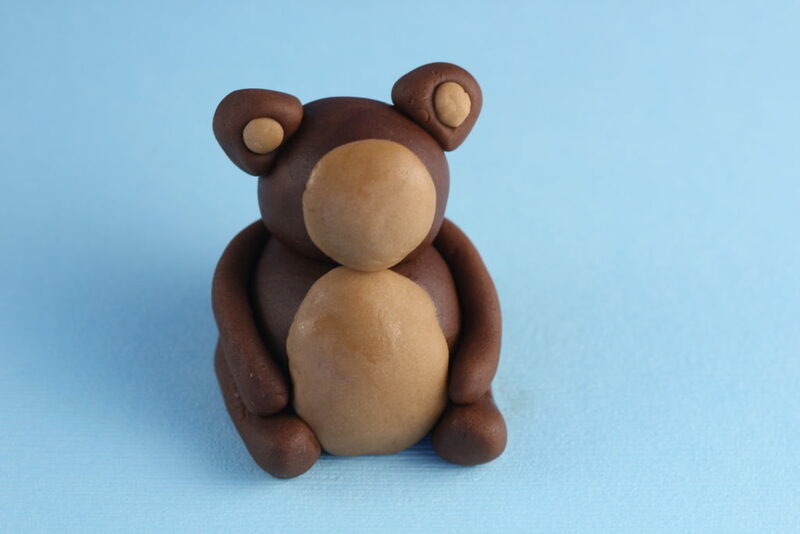 Roll the light brown fondant into two flat discs one for the face and one for the teddy bears body. 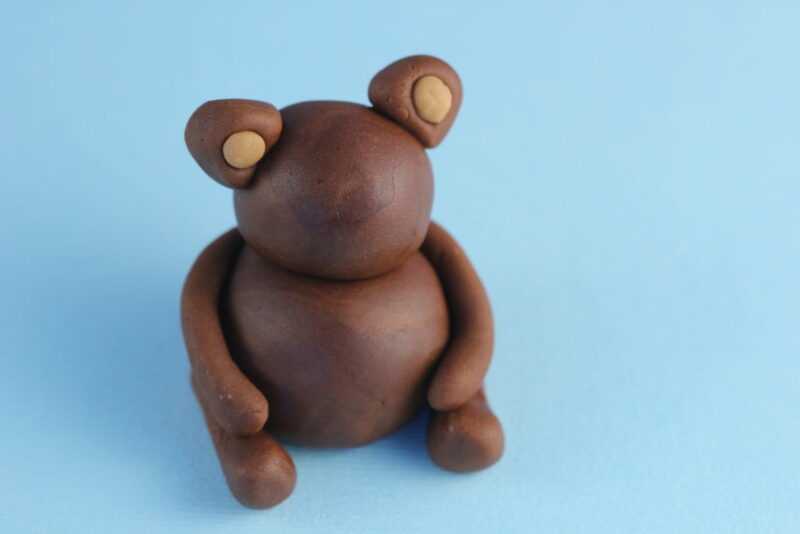 Attach the light brown fondant to the teddy bears body. 5. 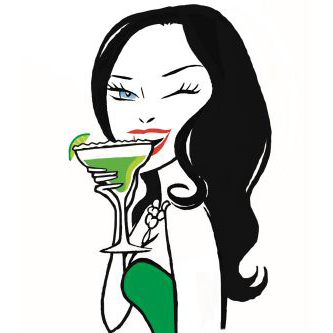 Use the ball tool to indent holes for the eyes. Fill in the holes with tiny balls of black fondant. 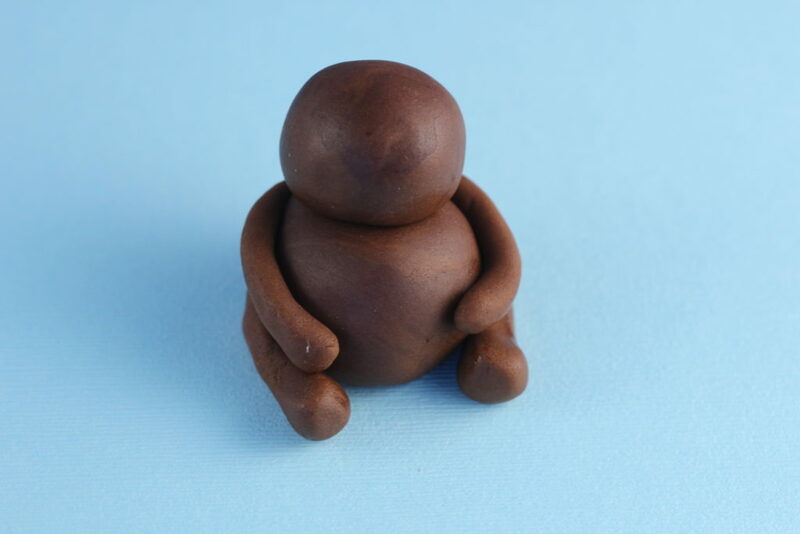 Make a small ball of black fondant for the nose and attach. 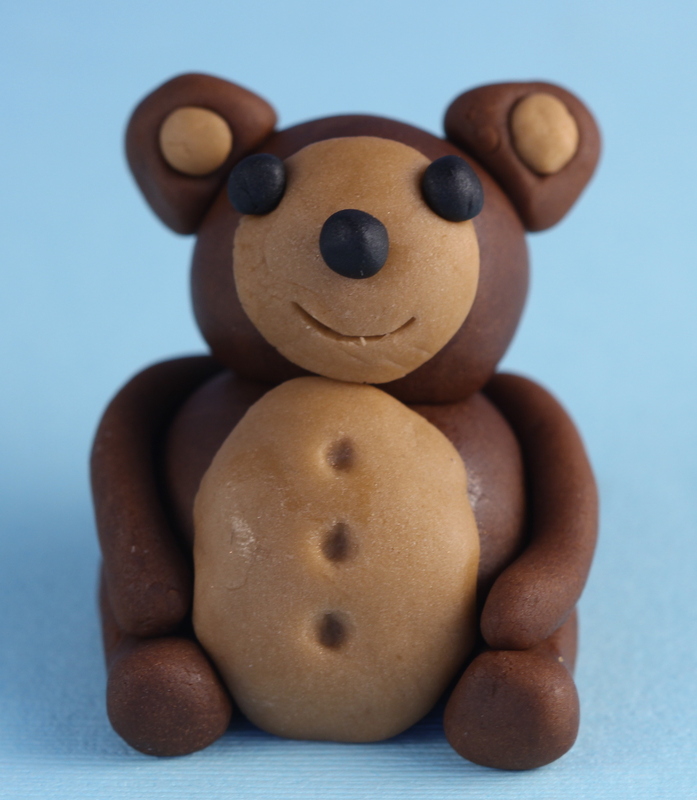 Use a fondant tool to make a ‘smile’ on the teddy bear’s face and the buttons on his belly. Place on top of your cupcake.